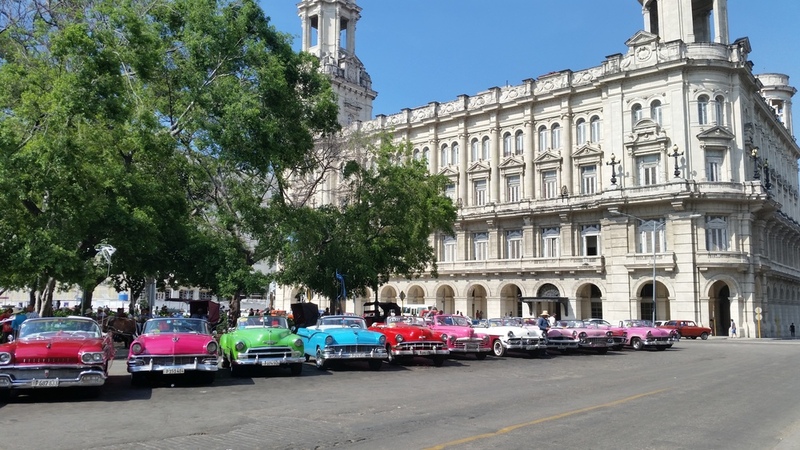 July 2015, the Discovery Channel produced a documentary series on several groups of men in Cuba who were restoring classic American cars to gain coveted membership to the A Lo Cubano car club. The membership is coveted because it grants permission to use your personal classic car for tourism, which pays much more than traditional taxi work. Of the men profiled in the docu-series, Demetrio quickly became a fan favorite. Demetrio Montalvo is known as "The People's Mechanic" because he embodies the can-do spirit of today's Cubans. The series gives an inside view of the challenges that the car owners and mechanics face in maintaining the 60 year old vehicles with no access to parts or proper tools because of the embargo. What I found more capturing, is how the Cuban people routinely make the impossible - reality through sheer determination, mixed with a healthy dose of ingenuity and elbow grease. Your Cuba Travel is proud to be a friend of Demetrio and our guests love meeting and spending time with him. As Discovery stated in his bio for the television series, "Demetrio's an excellent storyteller and his stories are real life experiences that are much more interesting than fiction." Visit www.yourcubatravel.com and see how you can meet Demetrio, along with many other adventures in Cuba! Dave and Albert with Demetrio Montalvo of Cuban Chrome. Demetrio Montalvo of the Discovery Channel series Cuban Chrome. Classic American cars in Havana, Cuba.